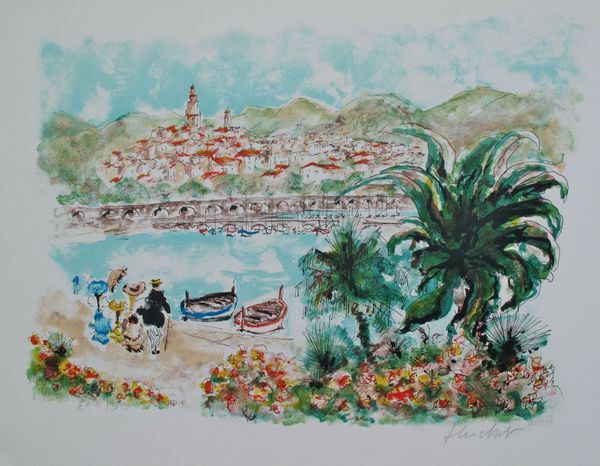 This is a pencil hand signed and numbered lithograph by Urbain Huchet titled ANTIBES. 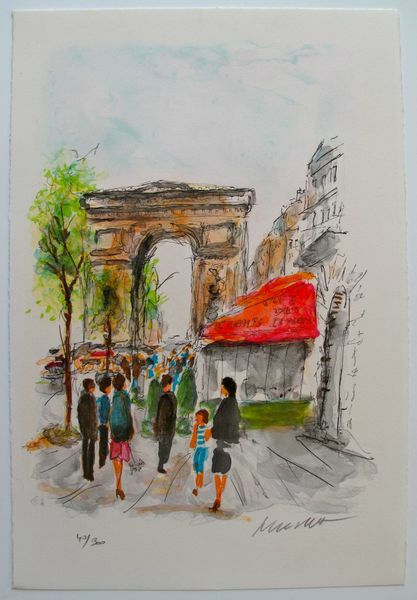 This is a pencil hand signed limited edition lithograph by French artist Urbain Huchet titled “ARC DE TRIOMPHE”. 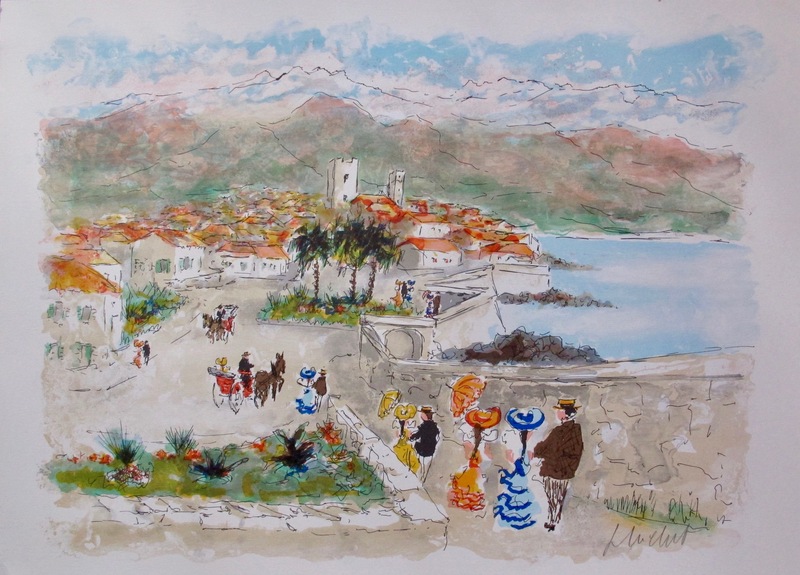 This is a pencil hand signed and numbered lithograph by Urbain Huchet titled “BEAULIEU”. 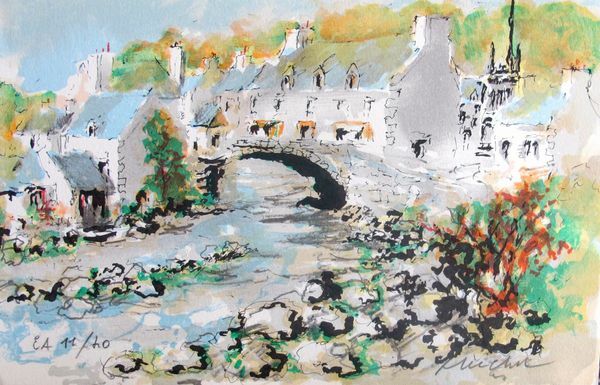 This is a pencil hand signed limited edition lithograph by French artist Urbain Huchet titled “Bridge in Point Aven”. 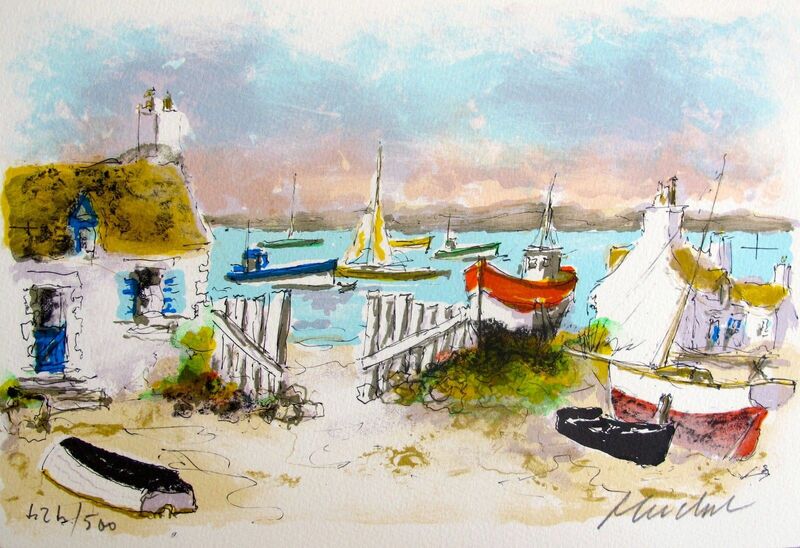 This is a pencil hand signed limited edition lithograph by French artist Urbain Huchet titled “Cottages in Chausey”. 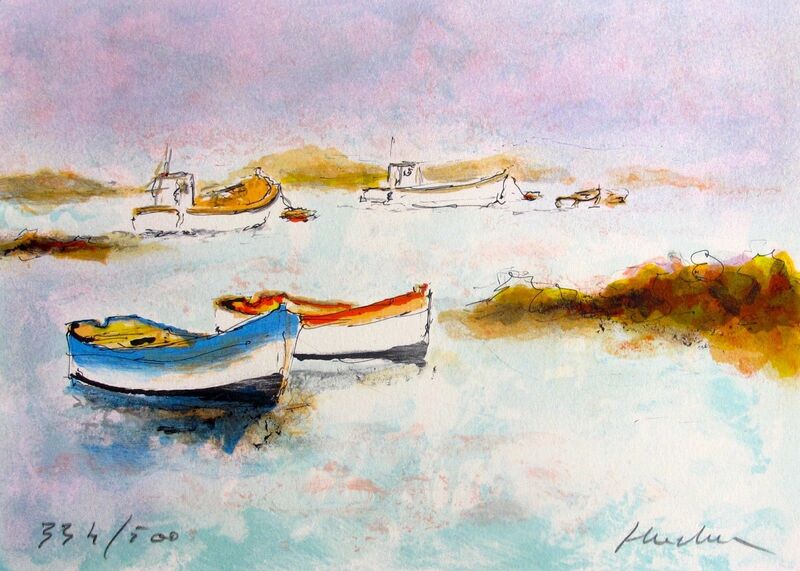 This is a pencil hand signed limited edition lithograph by French artist Urbain Huchet titled “Deux Canoes”. 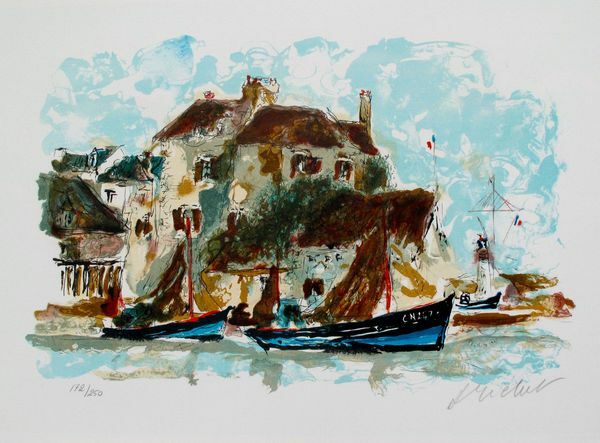 This is a pencil hand signed limited edition lithograph by French artist Urbain Huchet titled “Doelan II”. 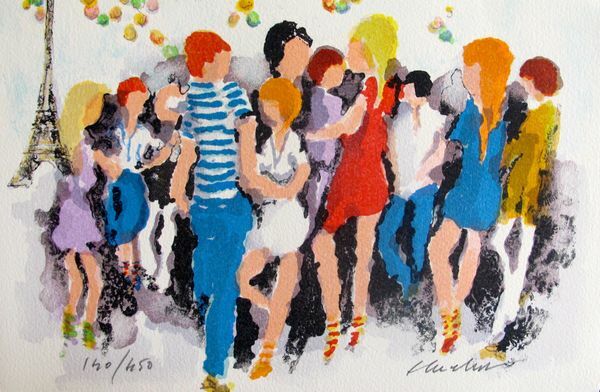 This is a pencil hand signed limited edition lithograph by French artist Urbain Huchet titled “Fete A Paris”. 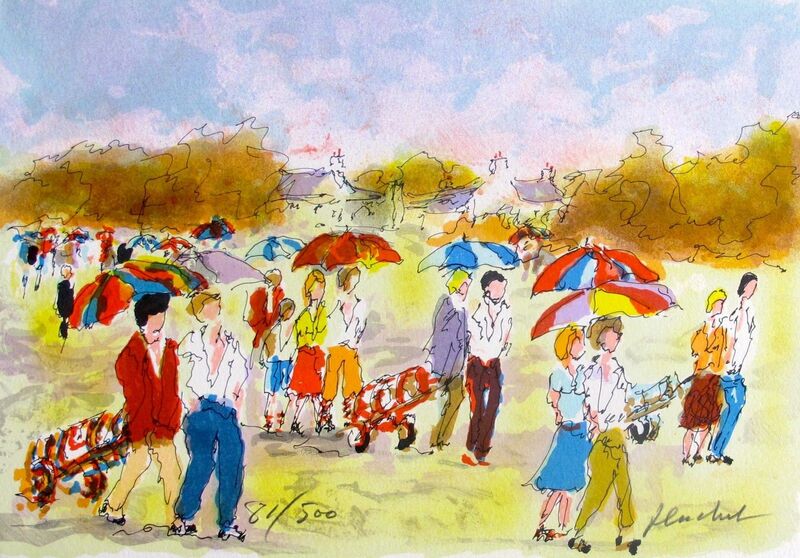 This is a pencil hand signed limited edition lithograph by French artist Urbain Huchet titled “Golf La Foule”. 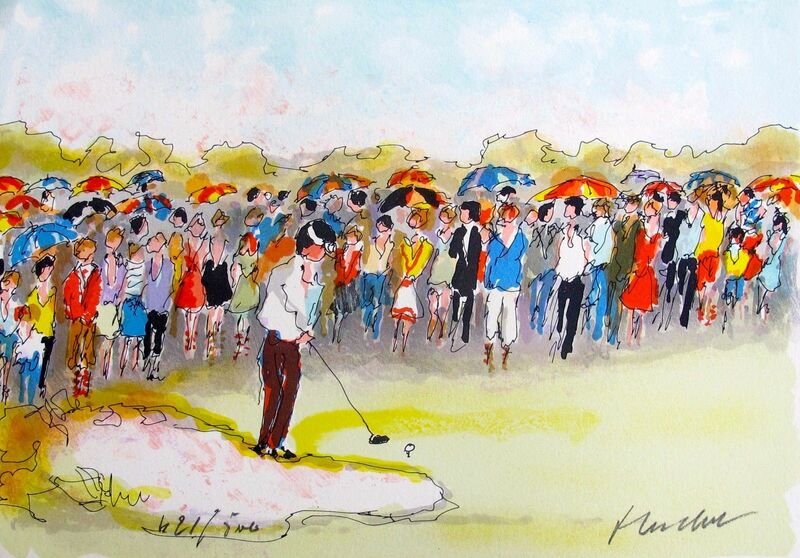 This is a pencil hand signed limited edition lithograph by French artist Urbain Huchet titled “Golf Les Parpluies”. 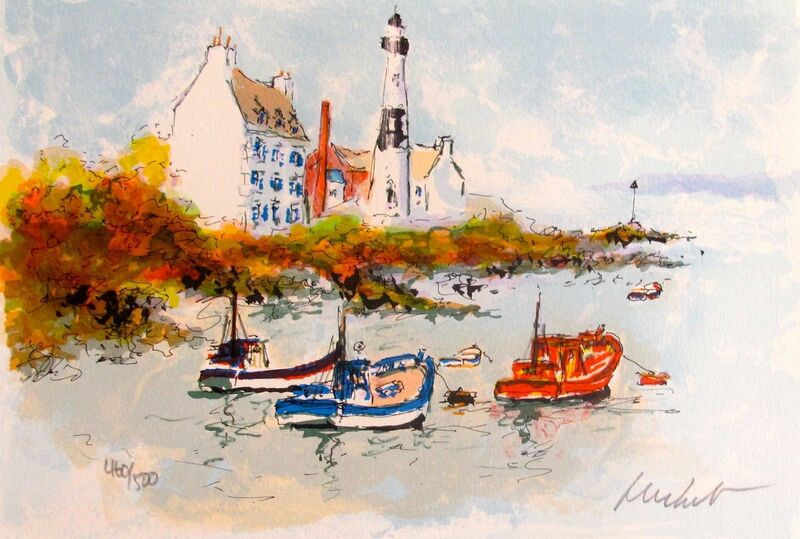 This is a pencil hand signed and numbered lithograph by Urbain Huchet titled “LE PETIT PORT”. 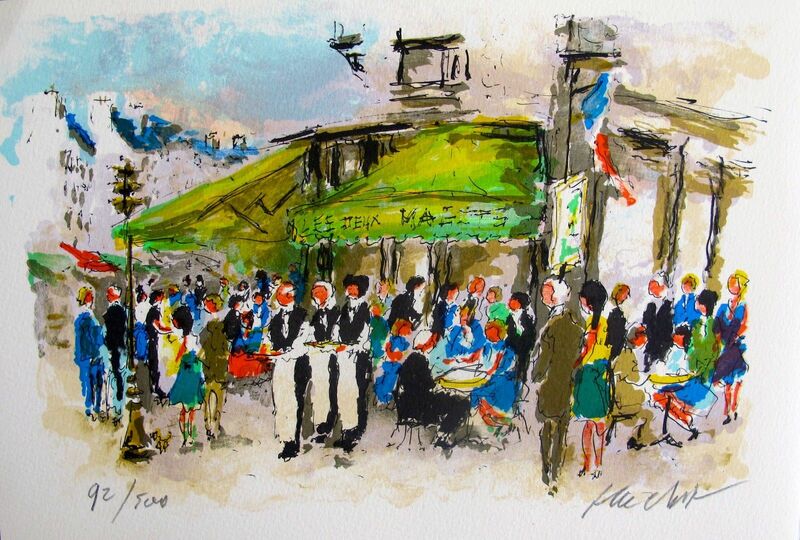 This is a pencil hand signed limited edition lithograph by French artist Urbain Huchet titled “Les Deux Magots”.